This is a super fun (yet truly educational!) 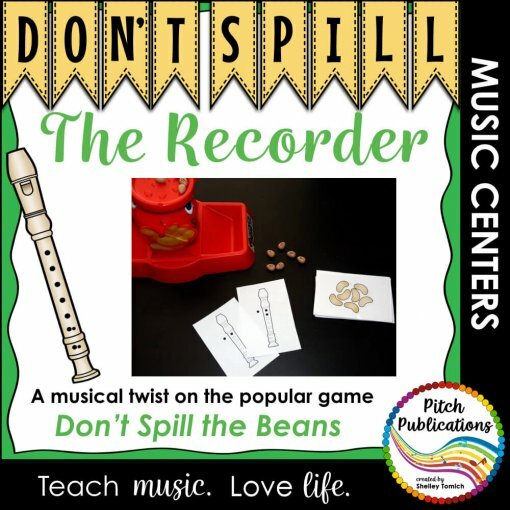 music centers game based on the popular game, “Don’t Spill the Beans!” In this game, students must identify recorder fingerings and hope they can get rid of all their beans before the pot tumbles over! 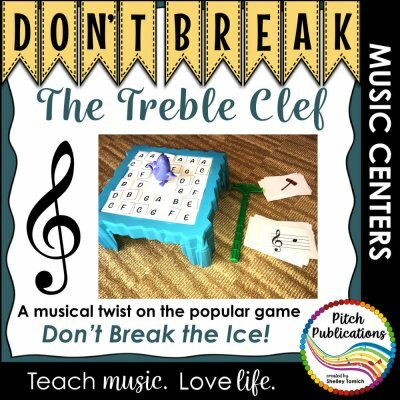 Buy as part of the Don’t Spill the Music bundle found here or save when you pick and choose multiple game based centers (discount listed below). 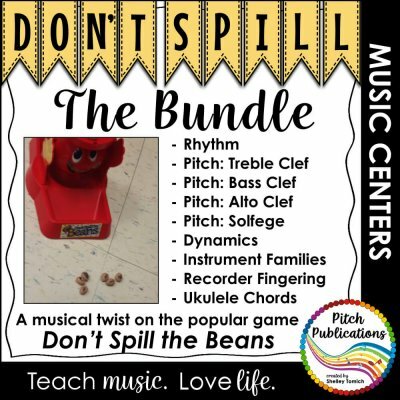 Buy as part of Don’t Spill the Music bundle found here or save when you pick and choose multiple game based centers. 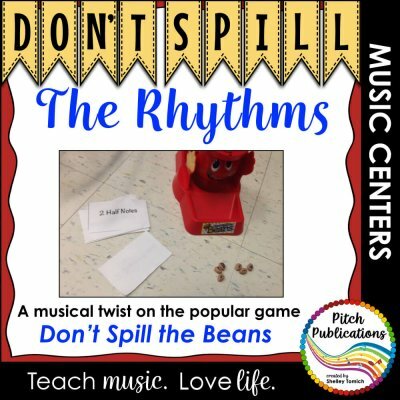 This purchase does not include the actual game “Don’t Spill the Beans” and requires that this game is purchased separately. Your students will LOVE playing this game in Music Centers or as a stand-alone activity! You will verbally hear them calling out the pitches as they place each bean. 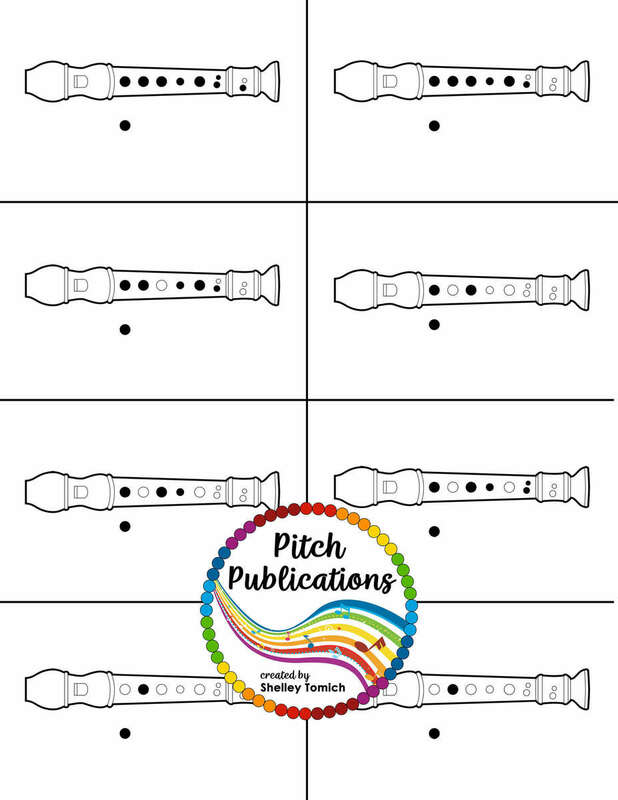 It also works great for sub plans! 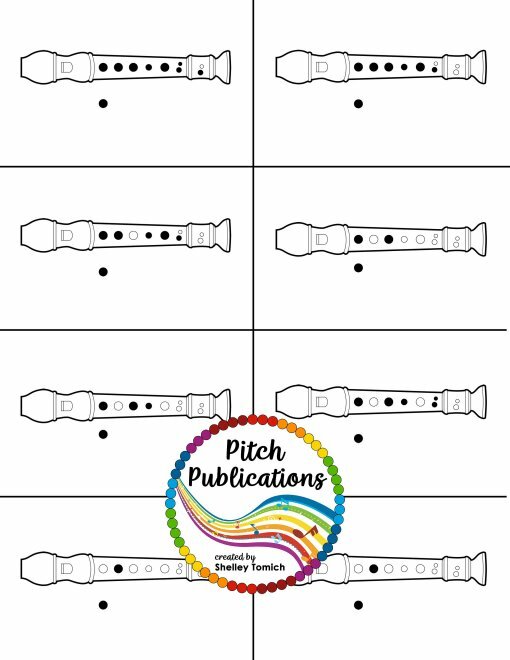 • Cards to print out (8 cards to one sheet of paper – customize which fingerings by picking your cards!) (with and without cutting lines). 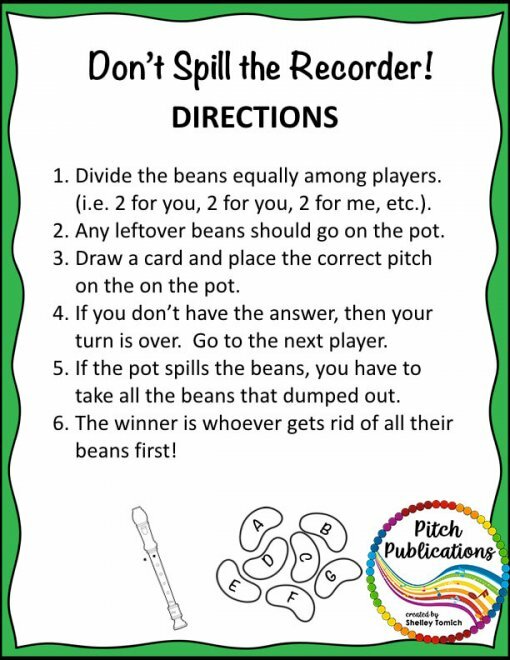 • Directions for Students – print out and put in the packet for students! 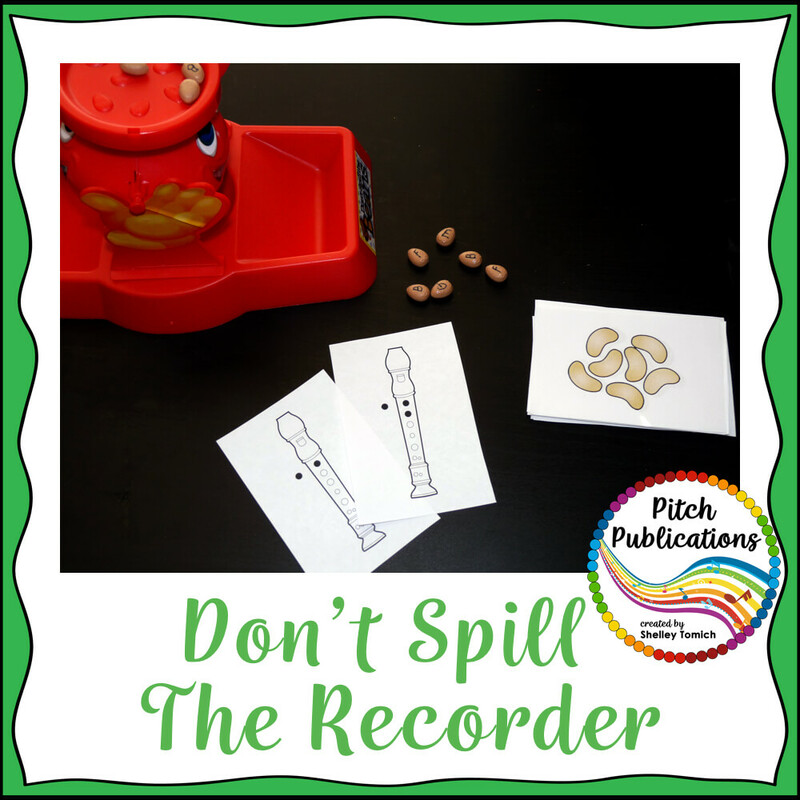 DON’T SPILL THE BEANS® & ©2015 Hasbro, Inc. Used with permission. 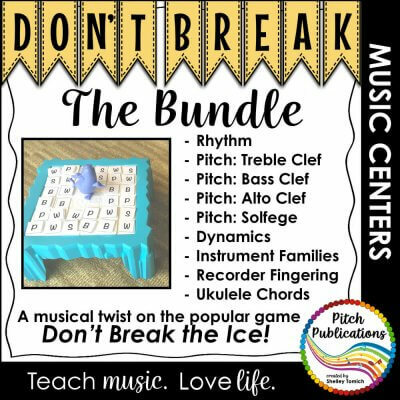 Music Center: Don’t Break the Music Bundle! 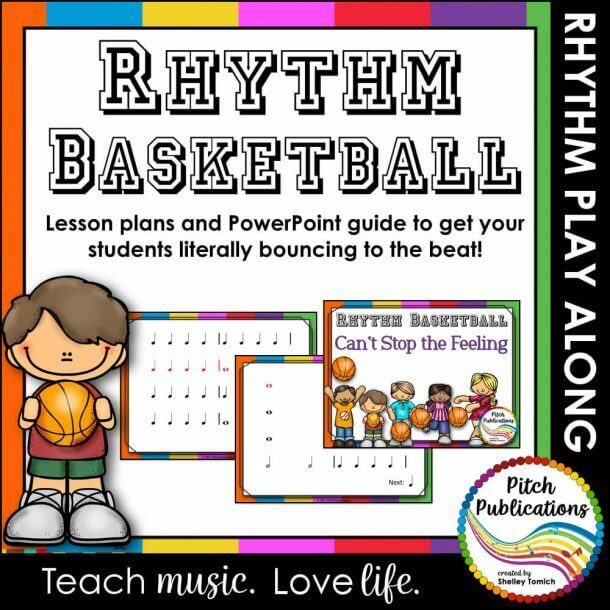 Pitch, rhythm, dynamics, & more!